Anganwadi centers in Bashattahalli, Kasavanahalli, Bisuvanahalli, Yellupura, and Guddadahalli are located in Doddaballapura Taluk, Bengaluru Rural District, Pincode 561203. The word Anganwadi means "courtyard shelter" in most Indian languages. They were started by the Indian government in 1975 as part of the Integrated Child Development Services program to combat child hunger and malnutrition. 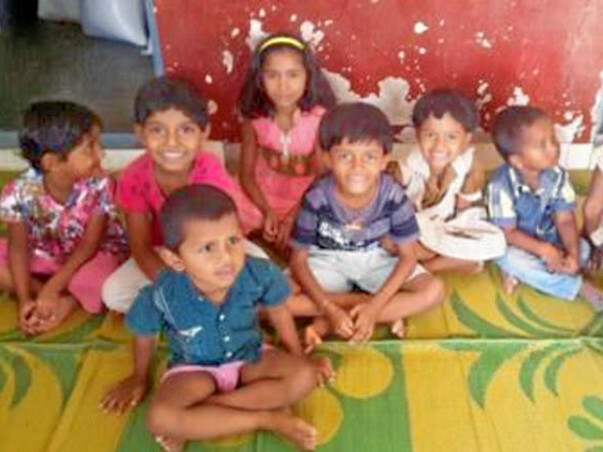 Five government Anganwadi centers are being supported by United Way Bengaluru. Support extended to 150 children under the ages of six years and to their mothers too. Conducting health awareness camps, mothers' committee meetings, improving infrastructure and enhancing early learning skills. Providing additional early learning materials – story and rhyme books. Improve health and nutrition of children and mothers. Plant saplings of indigenous variety. Volunteers to help to conduct the above mentioned activities.